Thanks so much to the overwhelmingly awesome and massive crowd that attended Good Tidings Market on Saturday. It was such a fun day!! If you didn't make it, there's still time to shop Someday, Loose Ends Embroidery, Anther and Strawberry Fields before year-end. We'll be selling at The Broad Bazaar tonight from 6-9pm. Come shop our tees, onesies, and our much-demanded collaboration prints with photographer Kate Magee!! From shopping at Dear Neighbor and Someday, we've learned that we have an obsession with cutting boards. Who knew? 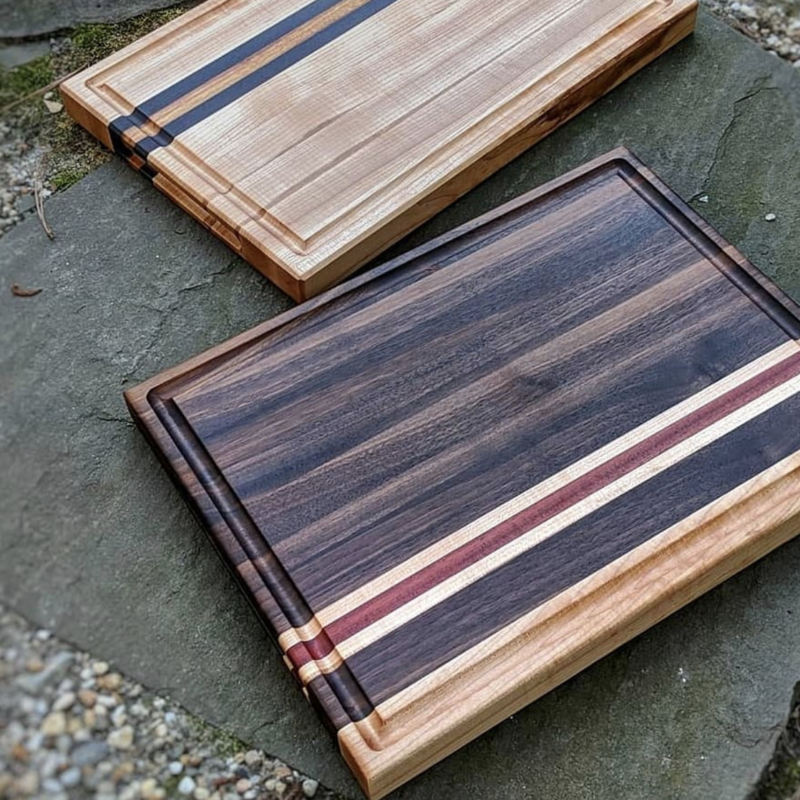 This weekend during Good Tidings Market, we came upon Rider Woodworks, a line of locally made cutting boards, prep stations, butcher blocks and charcuterie boards. Owner Ethan Rider adds flair to his boards with stripes of different woods and end-grain pieces. These would be stunning gifts for the guys or the gals in your life. And we dig this super chill video of Ethan quality control testing a recent piece. Right off the bat, we're entranced with this new shop's picture windows. The Wes-Anderson-goes-on-a-bike-ride vibes make us want to go inside! This Saturday, you can. 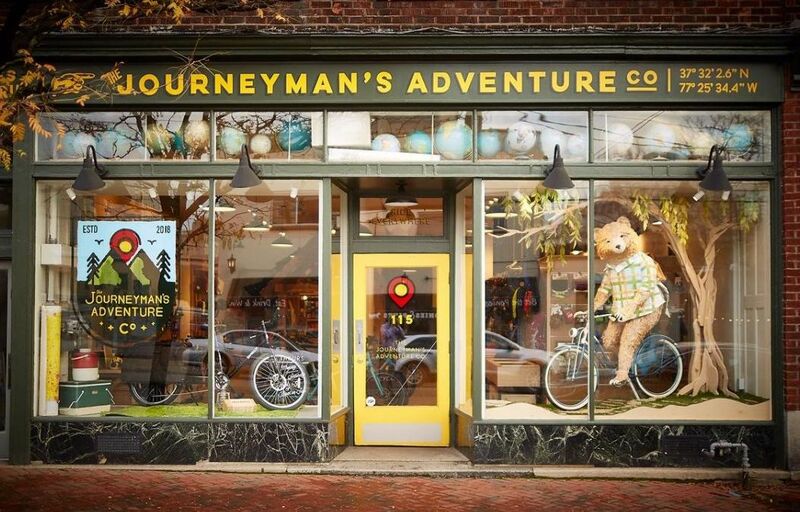 Journeyman's Adventure Co. is the new Shockoe Bottom destination shop offering bike gear for all scenarios, terrain and ages. As they put it, they're not just a bike store, but an adventure company! We want to learn more, so this Saturday we'll be heading to their launch party to see what's going on! After visiting Journeyman's on Saturday, we're heading on another adventure, one of the holiday variety. 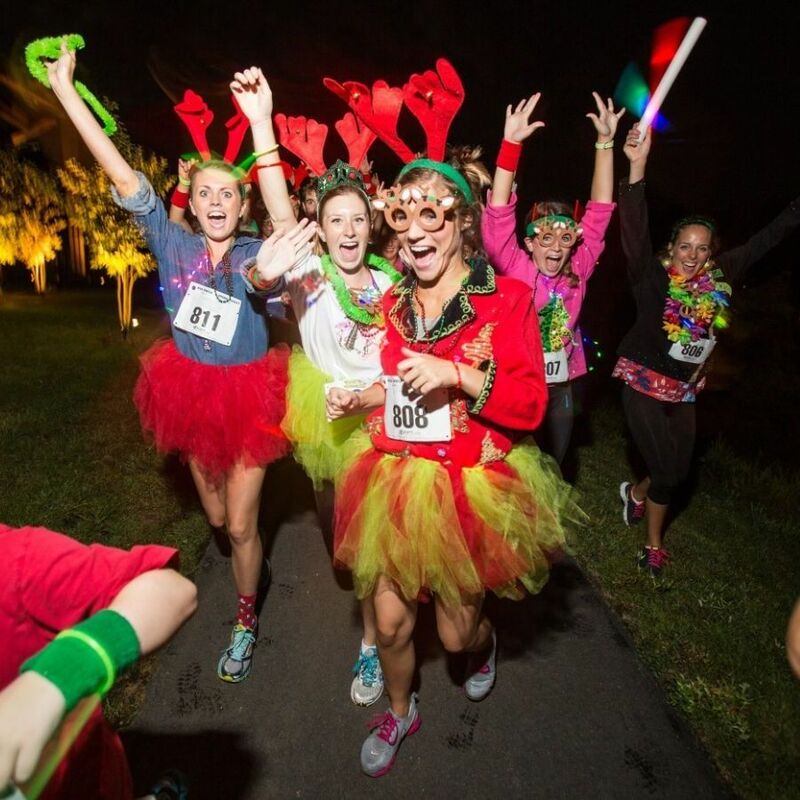 The CarMax Tacky Light Run combines a casual, untimed 6K with an overload of holiday festivity. The course winds through Midlothian's Walton Park neighborhood, known for its intense and amazing tacky lights. The family-friendly event is quite the scene. Be sure to dress up in your holiday tackiest, and enjoy rainbow cookies and hot cocoa. It's going to be positively frigid, so skip parking conundrums by taking Lyft to and fro, using code TACKYLIGHTS for 25% off two rides.